Fighting a traffic ticket can make sense for many reasons. The best, of course, is that you can show the police officer or state trooper issued the citation in error. Beyond that, you might worry about what a conviction will do to your driving record and insurance rates. Maybe you have already racked up a couple of tickets over the past couple of months. Consulting with a Columbus speeding ticket attorney will help you decide whether asking for a court date makes sense. 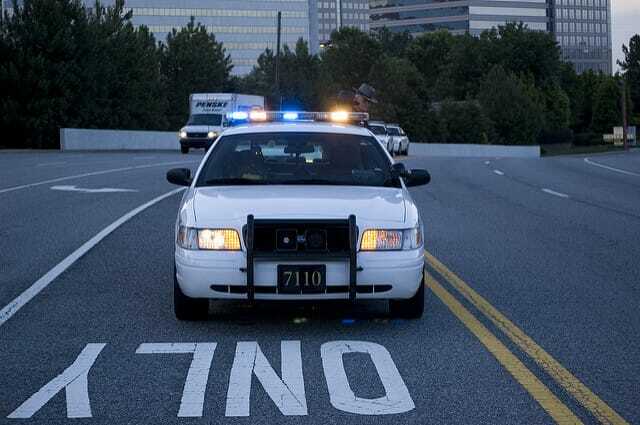 Four possible benefits of fighting a ticket are discussed briefly here, but speaking with a lawyer who has spent significant time in traffic court will clarify the best steps to take. Signing, paying, and returning a traffic ticket amounts to pleading guilty to the charge as issued. Going to court will allow you and your attorney to present evidence for your innocence. Asking for a court date will also give you an opportunity to negotiate a plea to a lesser charge if you are not sure you can secure an acquittal or dismissal. Often times, a Columbus traffic defense attorney can appear on your behalf without you needing to be in court. In Ohio, convictions for most moving violations and a few equipment violations carry points. Most of them are between 2 points and 4 points. The Bureau of Motor Vehicles keeps track of the points on a driver’s record. When a person accumulates 12 points within 24 months, the BMV issues a six-month license suspension of your license. Pleading down to a lesser offense in court or convincing a judge or prosecutor to dismiss the charge altogether will spare you any points. With points or not, every traffic conviction goes on a driver’s record. This can put a job in jeopardy and increase insurance premiums. Most companies that employ professional drivers require clean BMV records. Insurance companies base their rates, in part, on a driver’s record. Fighting a traffic ticket gives you a chance to keep your record clean and your premiums low. Traffic courts in Ohio require the police officers or state troopers who issue tickets to show up to give evidence against the drivers they cited for speeding, failing to yield or what-have-you. When the law enforcement official does not appear, the judge has the option of setting a new trial date, accepting a plea, or dismissing the case. It is very important not to admit fault when facing a Columbus traffic ticket. As the warnings indicate, “anything you say can and will be used against you in court. While no Columbus Ohio speeding ticket attorney would ethically advise basing an entire defense strategy on the hope that the officer who issued the ticket does not make it to court, drivers should know that their right to face their accuser will be upheld in traffic court. If you have received a traffic ticket in Franklin County, consider contacting The Maher Law Firm to discuss your legal options. Attorney Colin Maher will give you a free phone consultation, so call us at (614) 205-2208 or connect with us online.